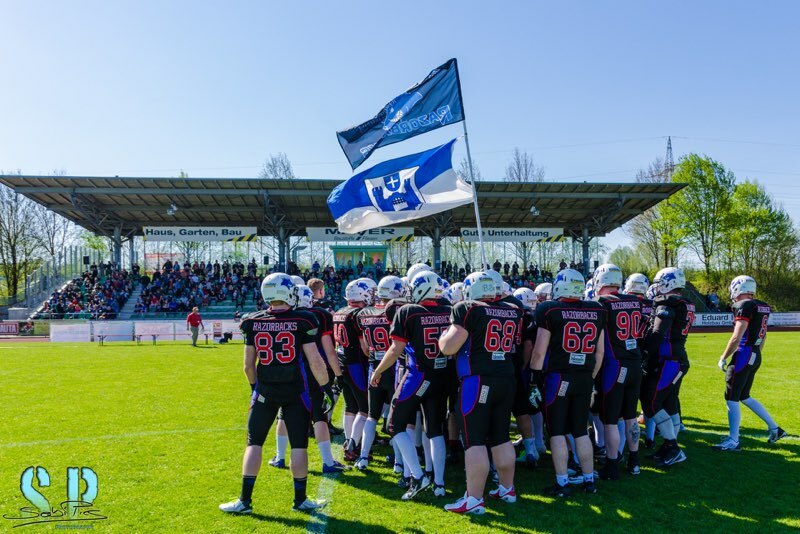 The rematch between the Ravensburg Razorbacks and the Pforzheim Wilddogs started out well for the Razorbacks. I’d been worried about a letdown against an improved Wilddog team and during the first half it looked like my concern had been unjustified. The Razorback offense scored on our first four possessions and added a fifth touchdown to take a 34-6 into the half. During the second half the Wilddogs showed impressive fight and we had the letdown I’d feared. We lost focus and started making uncharacteristic mistakes. An interception on the second play quickly led to a Wilddog score. Our next possession started well, but stalled when we missed a few blocks and dropped pass on 3rd down. 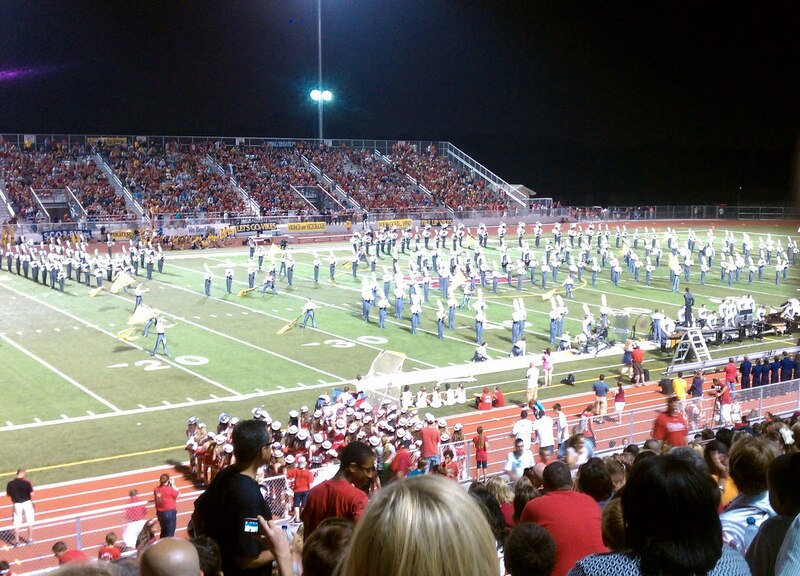 A missed field goal, ‘Dogs responded and cut into our lead again, 34-20. Next series; after another promising start, we misaligned one play, missed a pass on another and mistakenly snapped the ball on a third. 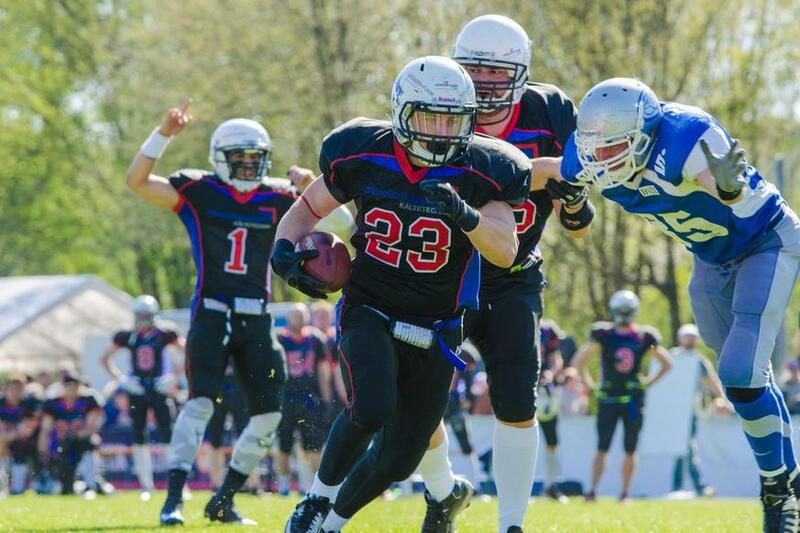 Again, Pforzheim responded with a long drive cutting the score to 34-28 as time ran out. All told, we had 14 offensive plays during the second half…and zero points. As disappointing as we were offensively, our defense had some major lapses as well, allowing the Wilddogs to convert on many 3rd and 4th downs. Pforzheim deserves a lot of credit for fighting until the end, but we had it in our power to finish the job and could not get it done. When you win 61-3, as we did last week, you feel invincible. In reality, even such dominating performances can be build on shaky foundations. Lack of depth, poor execution and inexperience can cause things to quickly fall apart. We are as good as we want to be. If we carry out assignments and do little things right, we are fine. When we let the opponent, the score, or the officials distract us, bad things can quickly happen. This was a lesson our players needed to learn. If we handle this right, this experience may be the best thing that could have happened for us.